See the uvex 1 sport in action. Ready for a wear test? Sporty design meets sophisticated functionality: the uvex 1 sport is both youthful and stylish combined with first-class wearer comfort, thanks to its lightweight design, climate optimised high-tech materials and ergonomically designed outsole. 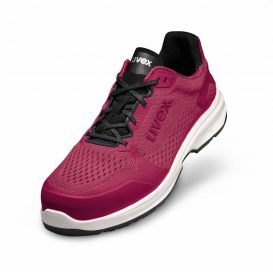 The breathable mesh upper ensures optimised climate control. 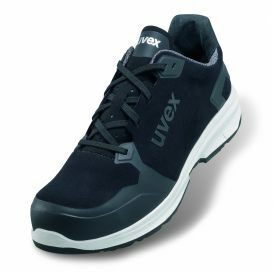 The sporty look of the uvex 1 sport is contributing to the increased acceptance of wearing safety footwear. 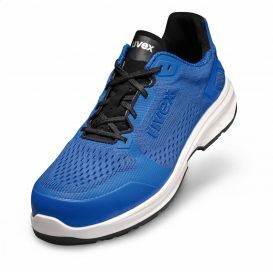 The uvex 1 sport features an ergonomically designed polyurethane outsole, providing outstanding comfort underfoot – and is suitable for use on almost all surfaces when used for light applications. Despite being free from paint wetting impairment substances, it offers excellent anti-slip (SRC) and abrasion-resistant properties and meets the ESD specification (leakage resistance < 35 mΩ).